Maidenhead Converter provides custom keypads to conveniently enter coordinates. If you enter latitude and longitude, it converts to Maidenhead. If you enter Maidenhead, it converts to latitude and longitude. Need to use the result in another app? Maidenhead Converter can copy your formatted, converted coordinate to your device's pasteboard, ready to be pasted. 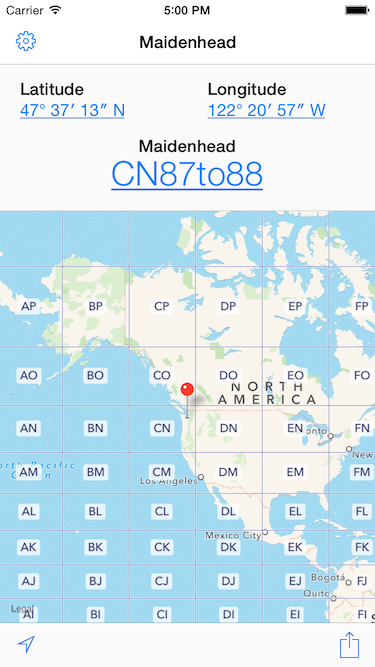 If you give it permission, Maidenhead Converter can track your location, and show it to you in latitude and longitude and Maidenhead coordinates. It'll even update your location as you move around. Where in the world is JN18du55*? A pin will appear on the built-in map when you enter a coordinate, so you'll know what the coordinate actually points to. * It's in Paris, France. But Maidenhead Converter could have told you that. You can configure Maidenhead Converter to use one of several coordinate formats for latitude, longitude, and Maidenhead. Do you need 47° 37′ 13″ N? You got it. 47.6205° N? Sure thing. 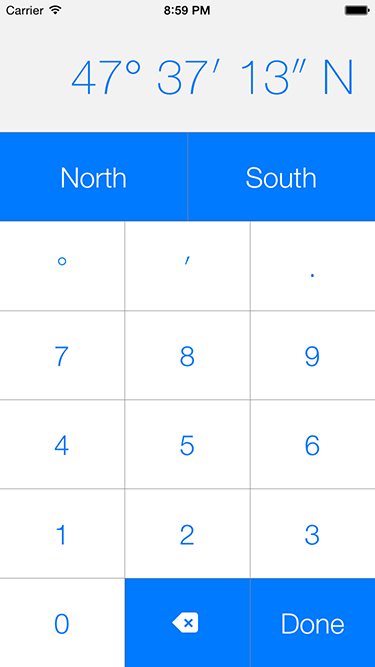 Do you work with Maidenhead coordinates with four or six or eight characters? It'll handle it. You can download and use Maidenhead Converter for free! Copyright © 2009-2018 Donald Hays.